1Pre heat BBQ to high. 2Cut peaches in half and remove stones. 3In a small bowl, combine till well mixed, the brown sugar, cinnamon, salt and Nuttelex. 4Brush tops of peach halves with melted Nuttelex and place face down on BBQ till char marks appear - approx. 4 mins. 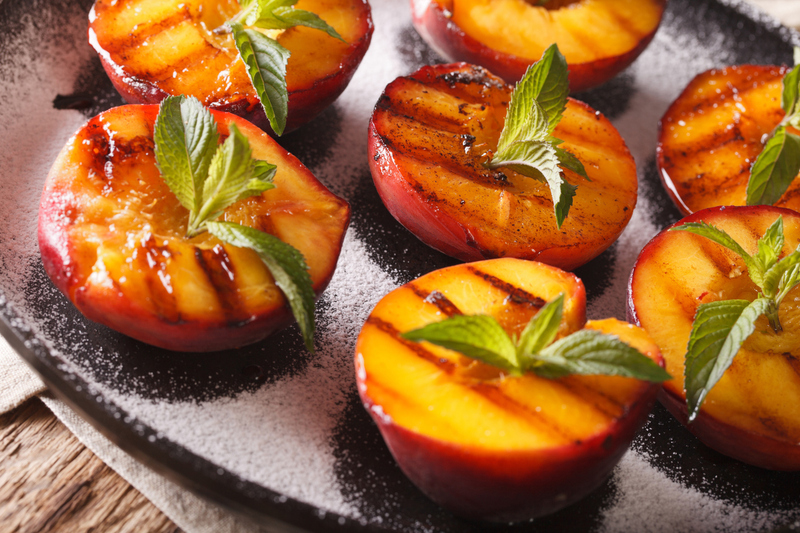 5Carefully turn peaches over so they are sitting upright on BBQ. Then add a heaped teaspoon to the stone cavity of the Nuttelex sugar/cinnamon mixture. Cook a further 2-3 mins until melted & heated through. 6Add a sprig of fresh mint and serve as is or with a dollop of your fave cream or ice-cream.